In an earlier post, I described a new initiative that we recently started: The Fairwork Foundation. The goal of the Foundation is to certify key standards in the platform economy. By setting those standards, and certifying platforms against them, we hope to try to work against a race to the bottom in wages and working conditions. Workers avoid unfair contracts, and platforms and consumers will be able to avoid acting unethically. To get this right, we'll need to make sure that we understand what fair work actually means in the gig economy. In other words, what are the standards we want to certify against? We look forward to your thoughts, and please do pass along the link to anyone else who you think might have something to add. 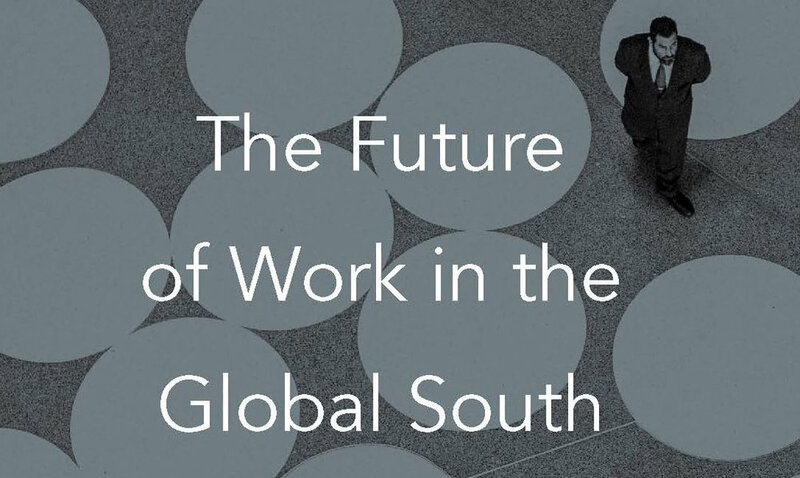 A network that I am part of - the The Future of Work in Developing Countries initiative - has just put out a new publication titled 'The Future of Work in the Global South'. You can download the full publication here. It also contains a piece by my colleagues and I on the potentials of the gig economy in developing countries. Graham, M., Lehdonvirta, L., Wood., A., Barnard, H., and Hjorth, I. 2018. Could Online Gig Work Drive Development in Lower-income Countries? In Galperin, H., and Alarcon, A. The Future of Work in the Global South. Ottawa: IDRC. 8-11. 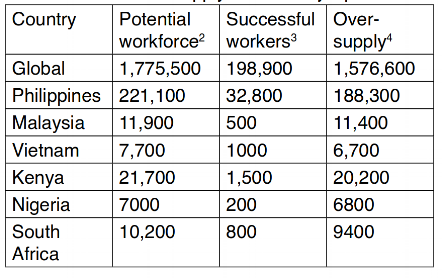 More than a billion people are set to enter the job market in less than three years, mostly from low- and lower-middle-income countries. Online gig work—paid work managed via online platforms with no contract for long-term employment—has been seen by economic development experts as a relatively welcome phenomenon, allowing these workers to compete frictionlessly in a global marketplace. 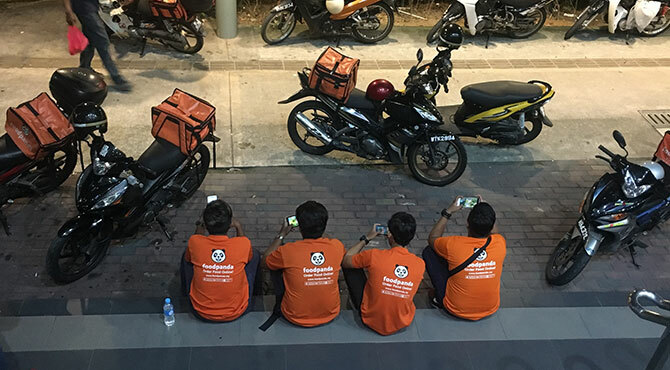 Policymakers hope regions like Sub-Saharan Africa and Southeast Asia can capitalize on this digitally mediated work opportunity, thereby addressing a global mismatch in supply and demand of (online) labor. In the face of low wages in emerging economies and youth-to-adult unemployment rates hitting historic peaks, Internet-based marketplaces might permit a “virtual migration” offering economic benefits akin to physical migration, lifting people out of poverty, raising labor force participation, and improving productivity. action to improve their situations, and prompt policy makers to revisit regulation as it applies to workers, clients, and platforms. Graham, M and Shaw, J. (eds). 2017. Towards a Fairer Gig Economy. London: Meatspace Press. This month, I started work on a new project together with my new colleague Jamie Woodcock: The Fairwork Foundation. With generous funding from GIZ, we will get to spend the next year and a half figuring out how to certify online labour platforms - using leverage from workers, consumers, and platforms to improve the welfare and job quality of digital workers. Today we also have a new article about the project out (in a new issue of Alternate Routes focused on 'Social Inequality and the Spectre of Social Justice'). The article explains some of our initial strategies for the project. The specifics will undoubtedly evolve, but you can get a sense of our direction of travel. This proposal envisions a way of holding platforms accountable through a programme of research focused on fair work. It operates under a governing belief that core transparent production networks can lead to better working conditions for digital workers around the world. The establishment of the Foundation and a certification scheme will provide demonstrable impact for digital workers, customers, and platforms. For digital workers, it addresses the twofold structural weakness that they face: first, the lack of ability to collectively bargain due to the fragmentation of the work process; and second, the asymmetry of information between workers and platforms. The certification process provides an important means to address these two challenges, along with building and developing connections between workers and institutions like trade unions and regulatory bodies. New kinds of work require innovations in organising techniques and regulations, and the Fairwork Foundation provides an important starting point for developing these in practice. As millions of people turn to platform work for their livelihoods, it is no longer good enough to imagine that there is nothing beyond the screen. Our clicks tie us to the lives and livelihoods of platform workers, as much as buying clothes tie us to the lives of sweatshop workers. And with that realisation of our interwoven digital positionalities comes the power to bring into being a fairer world of work.